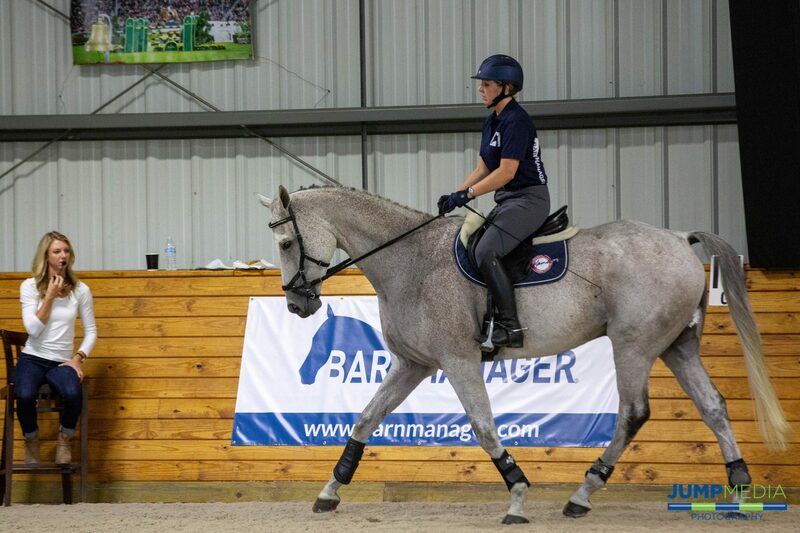 At BarnManager, we place a strong emphasis on the importance of ongoing education in order to become better riders and horsemen and women, and when it comes to furthering your dressage education, what’s better than learning from Laura Graves!? 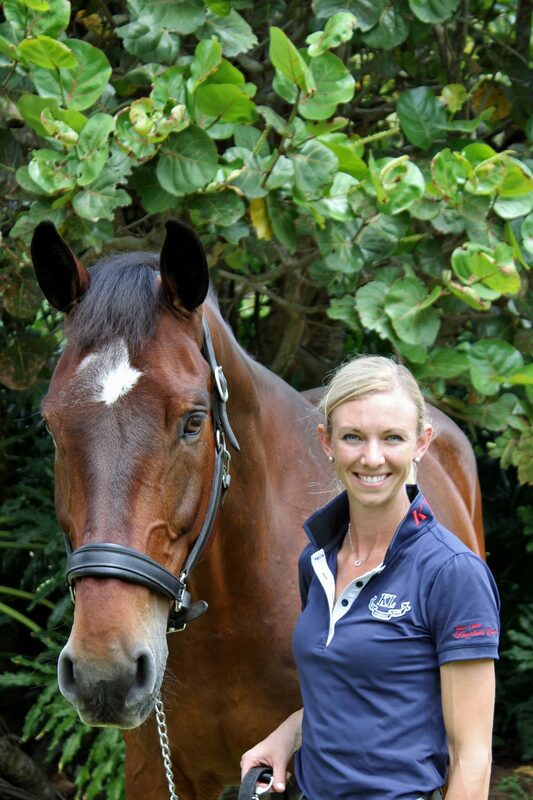 The U.S. Olympic dressage team bronze medalist and 2018 FEI World Cup™ Dressage Final runner-up represents so much of what we at BarnManager believe in and stand for – she’s truly connected with her horses and is so passionate about their care and their well-being. 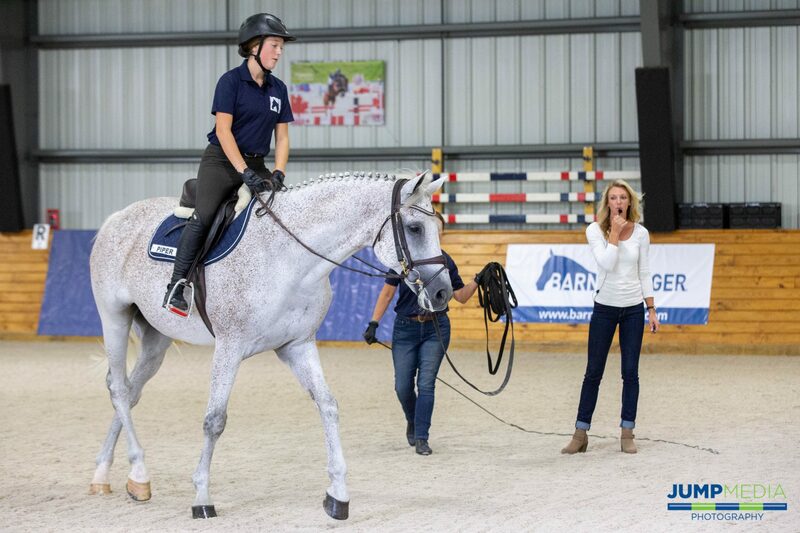 So, it was an absolute privilege to sponsor a “Dressage for Jumping” clinic with Graves on Tuesday, August 14, at the Ohana Equestrian Preserve in Virginia! 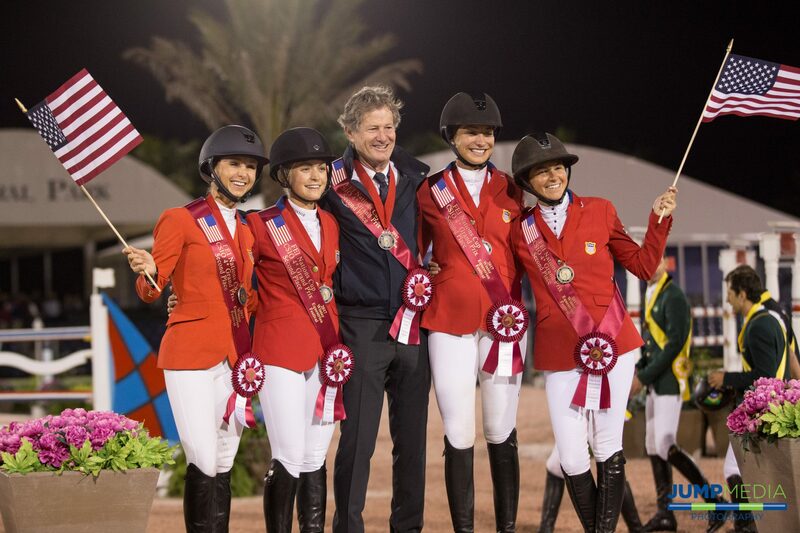 The riders of Kama Godek LLC, were awarded the clinic as the winners of the Washington International Horse Show (WIHS) Barn Night video contest, sponsored by BarnManager, and it was open to auditors to attend at no cost. For those not able to be in Virginia on Tuesday, it was also available to watch (and to re-watch here!) 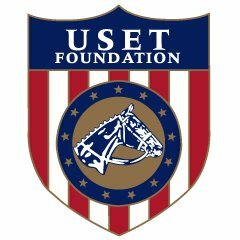 on USEF Network. We were in attendance and loved meeting so many great people and learning so much from Graves! 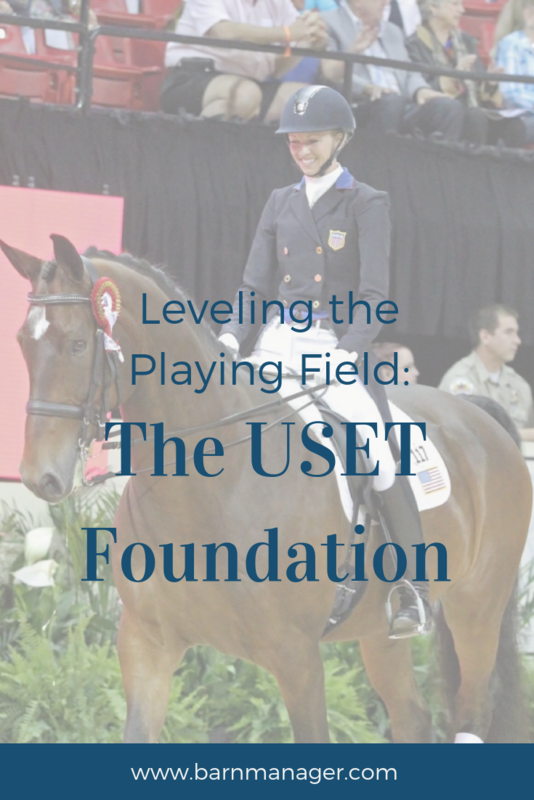 1) Dressage riders and jumpers – we’re not that different. What are some of the struggles that we all face? Most notably, according to Graves, getting horses in front of the leg and straight – two of the fundamental flatwork concepts that were emphasized throughout the clinic. 2) You should only work as hard as you want to. Okay, this doesn’t mean that you should quit your day job and just go watch Netflix because you don’t like working. Instead, what Graves reiterated throughout the clinic was creating a level of responsiveness from your horse that allows you to not exert more effort in the saddle than what you want to be exerting. 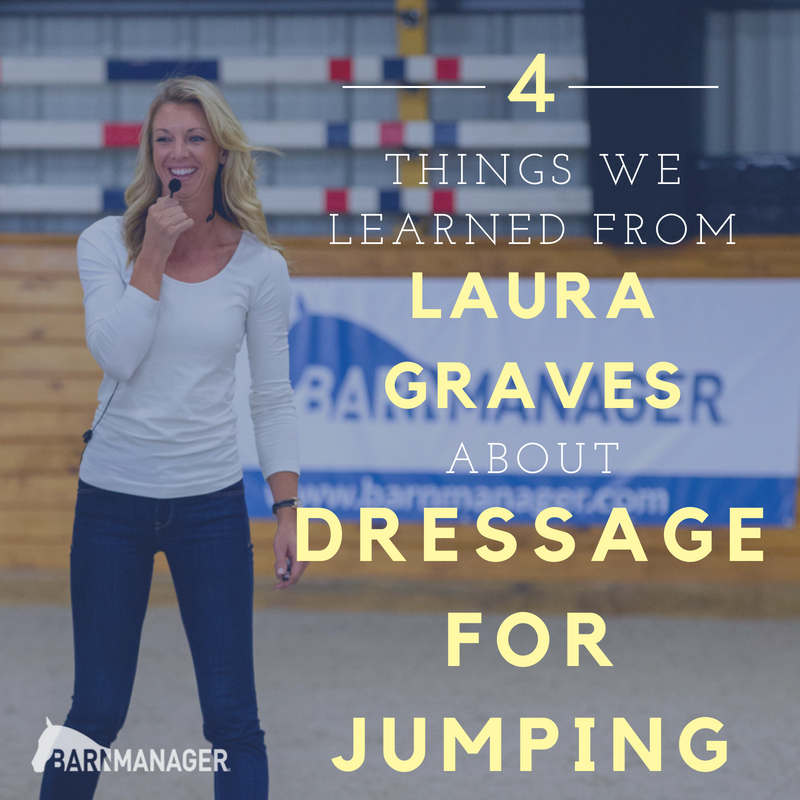 Graves started each rider’s one-on-one session by asking, once they had moved into a trot, how hard they were working on a scale of one to 10. Graves joked that she is “lazy” and likes to only work at a one or a two when the horse is trotting. So, how do you make it so that you’re doing less? You have to make the horse care about what you’re doing and respond to it. If the horse isn’t moving forward in front of the rider’s leg for instance, rather than continually kicking and squeezing and working at an eight or nine on the one to 10 scale, you have to deliver something more. By doing this, Graves hopes to create the situation where “if your leg is away, the pressure of the air of your leg coming toward his side should be enough to speed him up again.” This responsiveness allows the rider to only work as much as they want to be working, ideally at a one or a two. 3) It’s okay to make mistakes. You shouldn’t work just to cover them up. “The main thing that I find holds people back is that we’re afraid of mistakes. 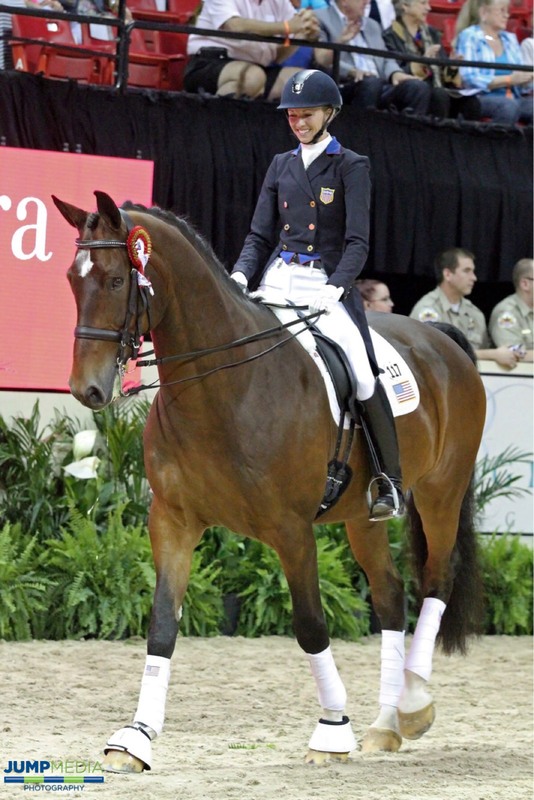 Nobody’s more afraid of mistakes than dressage people,” said Graves. That may be true, but as Graves also shared on Tuesday, “horses making mistakes does not mean we’re bad riders,” and it’s extremely important to embrace mistakes rather than working to cover them up. 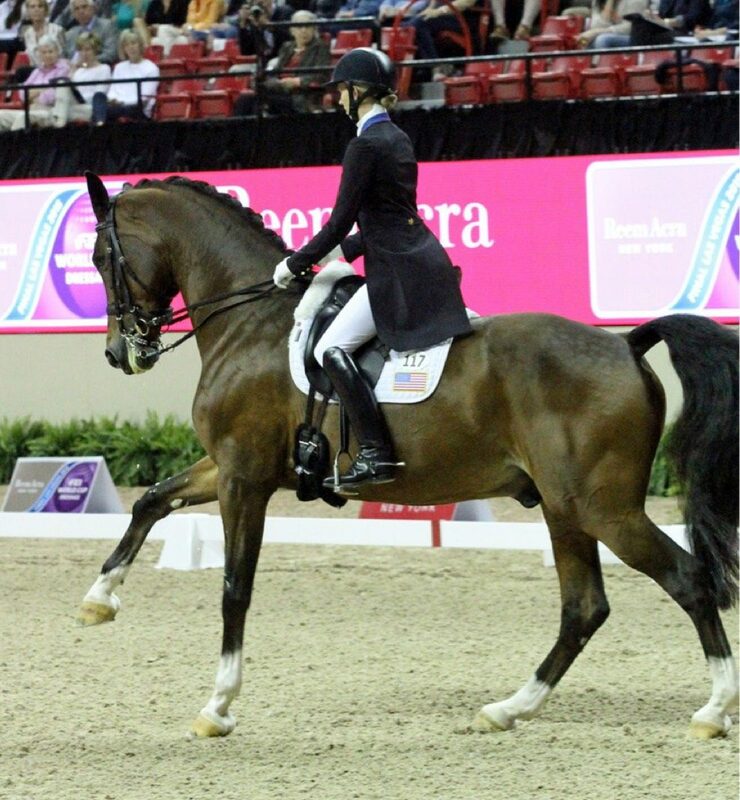 As an example, Graves had the very first rider of the day, 14-year-old beginning rider Piper Tyrrell, allow her horse to break from the trot down to the walk when Tyrrell took her leg off. Breaking to the walk was a mistake; Tyrrell wanted the horse to keep trotting even with less leg encouraging her forward. However, until Tyrrell let the mistake happen and was able to then correct it, the horse likely would not have been cognizant of the error. “If you don’t let the mistake happen, he doesn’t even know if he’s doing the right thing or the wrong thing because your leg is always on,” said Graves. 4) Laura Graves is awesome. 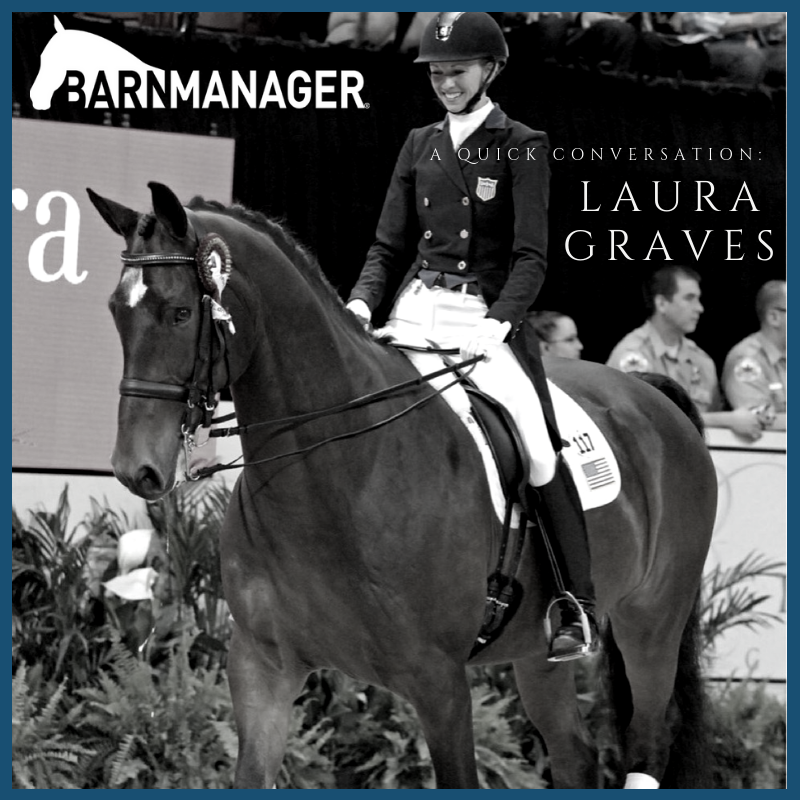 From her attitude toward teaching and her desire to truly instill her knowledge in the participating riders to her true passion and love for her horses and the sport, Laura Graves created fans for life in the BarnManager team! 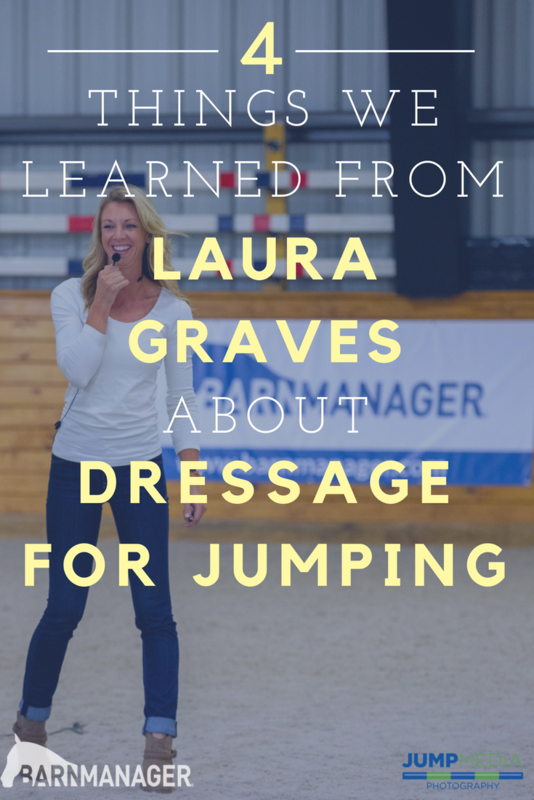 We sat down with Graves to talk about her beginnings in dressage, her typical day at home, and managing the mental aspect of the sport, and we can’t wait to share more!